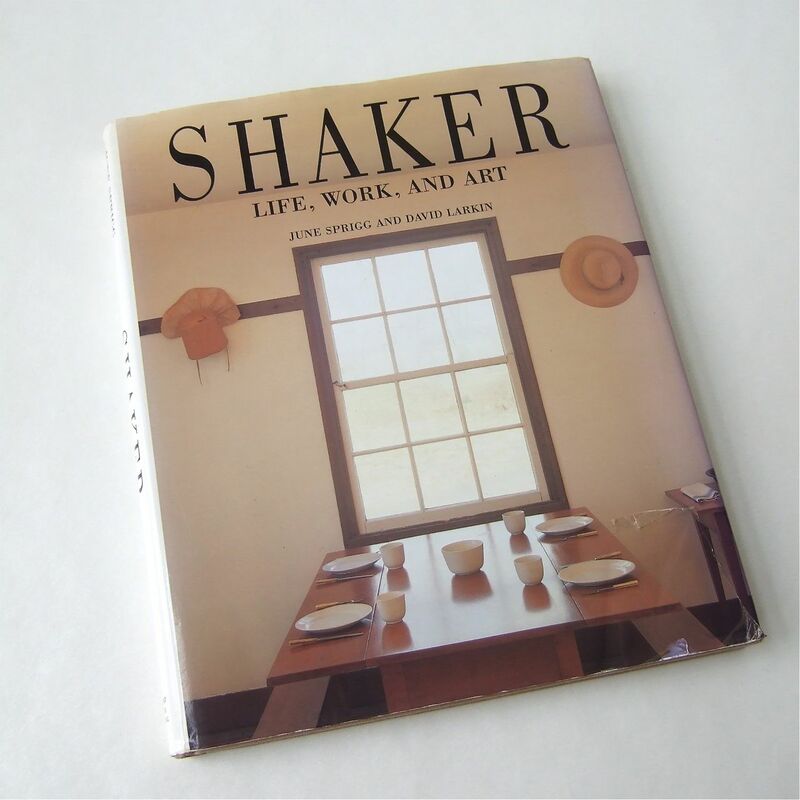 The Shakers were 19th century America’s communal utopian society. According to the book Shaker ( Jane Sprigg and David Larkin, 1987 ), ‘.. Shaker chairs were typically light but sturdy’ – they excluded all decorative elements from their furniture, pursuing pure functionality and simplicity. They were often made for the exact size of Believers, members of the Shaker community. As a part of their neat and beautifully crafted interior fittings, chairs were hung on the wall pegs when they cleaned the floor. They had a simple rail + hook system all over their home to hang clock, clothes drier, brooms and candle holders. We developed the interior colour inspired by authentic historic Shaker interiors, to reconstruct a small corner of a spinning room with turquoise blue rails and a large window. In Japan, group of high quality craftsmen are reviving the original of Shaker chairs, making and selling them.